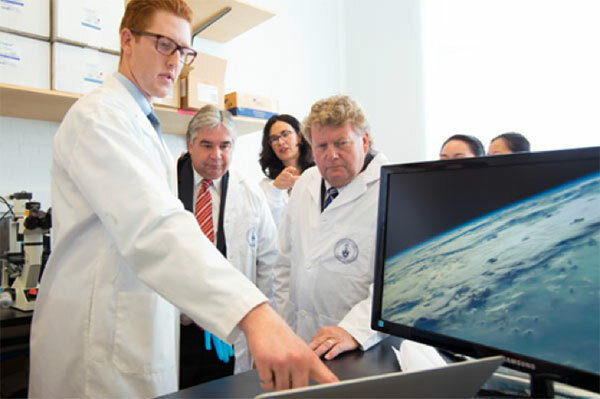 PhD candidate Miles Montgomery (ChemE, IBBME) discusses his research with the Honourable Ed Holder (right), the Honourable Peter Van Loan and Professor Milica Radisic (rear) during a tour of U of T’s Institute of Biomaterials & Biomedical Engineering in 2014 (Photo: Johnny Guatto). 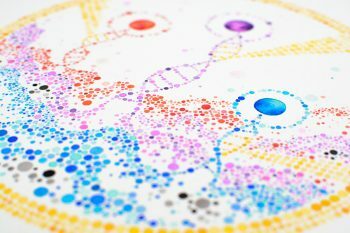 The research is published today in Nature Materials. 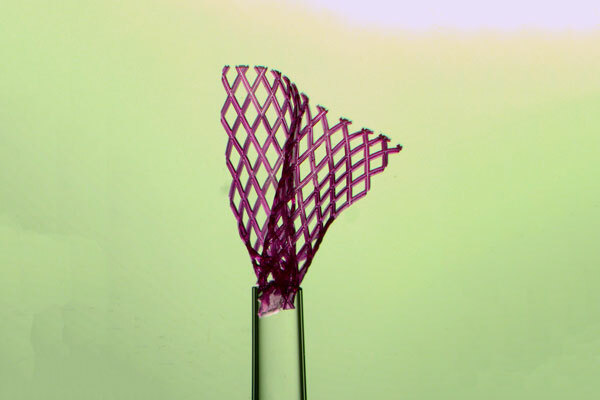 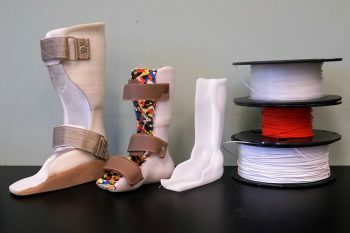 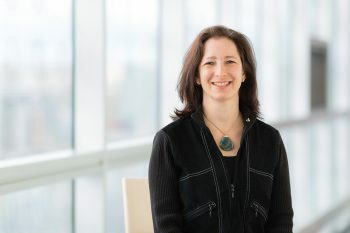 The project was supported by the Canadian Institutes of Health Research, National Sciences and Engineering Research Council of Canada, the University of Toronto, the Heart and Stroke Foundation, the Canada Foundation for Innovation, the Ontario Institute for Regenerative Medicine and the Ontario Research Fund.